This is an extract of the David McCooey review of Renga: 100 Poems, by John Kinsella and Paul Kane. Published Australian Book Review, March 2018, no. 399. The extract is published courtesy of ABR. To access the full review you must be an ABR subscriber. 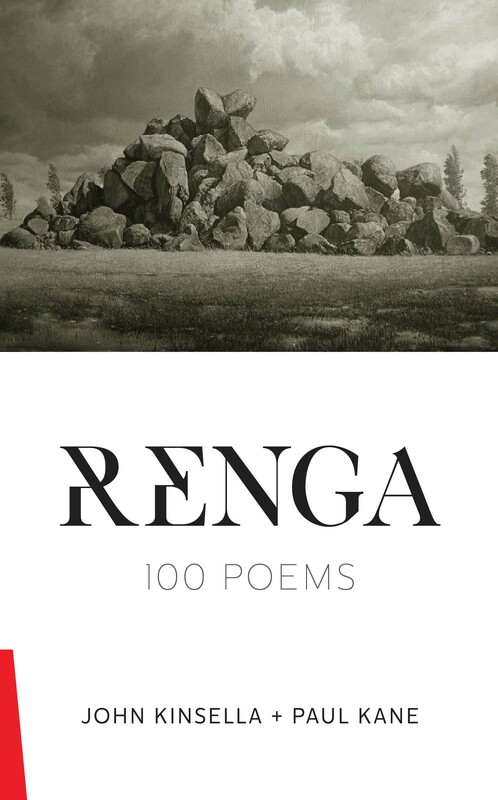 ”Renga is a powerful work of eco-poetics, meditating on modernity’s destructiveness and the protean experience of being in the world. While Kinsella is well-known for his political poems on the human degradation of nature, in Renga Kane is just as articulate in his search for a poetry that can accommodate, or deconstruct the opposition between, ‘the political’ and ‘the poetic’. In Renga 29, Kane decries mountaintop-removal coal mining: ‘It’s called MTR / in the Appalachian Range, a simple concept: / forget mining, just remove / the tops of mountains instead.’ Kane’s response to such practices, and the corrupt politics that allow them, is – in part –to back the potentialities of the everyday and poetic speech: ‘Start small, I say each morning, / a bird cry can crack a shell.’ But Kane also allows a more American post-Romantic position to emerge: self-reliance. In Renga 31, the poet (and ‘Graham, the electrician’) installs an inverter. In Renga 85, we see the poet chaining his self-built house to the earth, to stop it from being blown away. As with Kane, Kinsella also focuses on both the extreme and the domestic. The poet in Kinsella’s poems is generally even more uneasy about the concept of home, presenting himself in Renga 42 as the ‘Perennial outsider, / trying to bloom / in drought’. More gothically, Renga 58 begins ‘Somebody much maligned died / and their soul passed partially / into me’. The gothic here is employed, as it is elsewhere in Kinsella’s poetry, as the obverse of the pastoral, that mode Kinsella has spent a career brilliantly revising and reworking. While there is nothing ‘ideal’, or even especially bucolic, in the pastoral landscapes that occupy Kinsella’s poetry, the natural world remains a source of solace (albeit a complex one), as seen in the memory, evoked in Renga 98, of river dolphins ‘dipping / and surfacing’. As this poem shows, even the act of citing a place name in a putatively post-colonial space can be unreliable. Freshwater Bay, it turns out, is not fresh water.